SEO isn’t easy for any company. But SEO is especially complicated when you have limited time, money, and other resources. What can we do today to help improve our rankings? Great organic rankings don’t happen overnight. However, there are at least 11 things you can focus on to start moving the needle for your small businesses. The following SEO checklist for small businesses will help you prioritize SEO tasks. Before jumping into SEO, you must first understand the nature of what your small business provides to your customers, according to Chris Luttjohann with Digital Current. How, when, and where do customers determine they need your product or service? Is it away from home, using their cell phone? Is it at home using a desktop computer or tablet? Is it driven by a personal desire, like good food to eat or a great place to spend some time? Or is it caused by a disruptive event like a home or personal issue? These questions color the language your customers will use to find your business. This information will drive your keyword research and content creation, among other tasks. Your small business website might look fine on the outside – with great graphics, colors, and fonts. But if there are technical problems “under the hood,” it will likely impact your rankings and traffic. Before embarking on a content or link campaign, spend time fixing the foundation. You need a solid website structure so search engines can properly crawl and index your webpages. Improper use of canonical link elements. On-page optimization is more than just putting keywords on the page. You must develop quality content that is properly structured using natural characteristics for the targeted keywords. Use every reasonable (i.e., non-spammy) opportunity to add your targeted keywords appropriately on your website. Otherwise, you’re missing important ranking signals. Kevin Chow with Digital Current takes it a step further. When you’re optimizing and building your content, you should think about terms or locale to speak to your audience. For example, in Washington State you would use “Tri-Cities” instead of Kennewick, Richland, and Pasco. 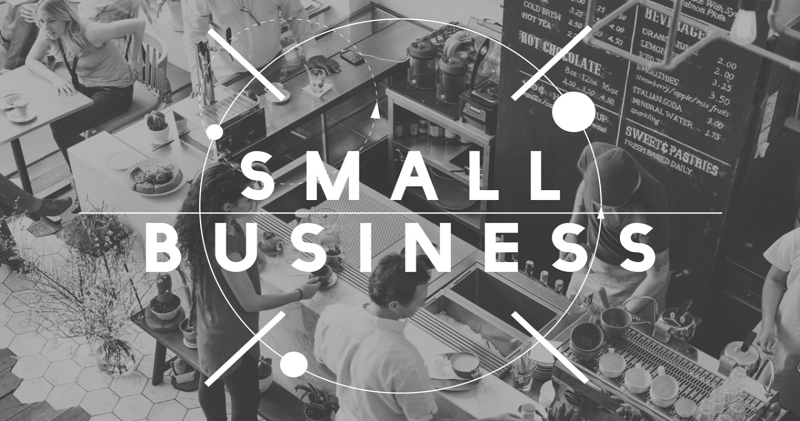 Google My Business should be a focal point for any small business. It’s free, easy to update, and can make a big impact. The first step toward optimizing your Google My Business listing is claiming and verifying it: https://www.google.com/business. Be sure to fill out as many fields as you can and include photos and videos to enhance your listing. Your category selection is super important. Be sure to choose the correct categories for your business. If you want to get more advanced with Google My Business, take the time to create questions and answers. 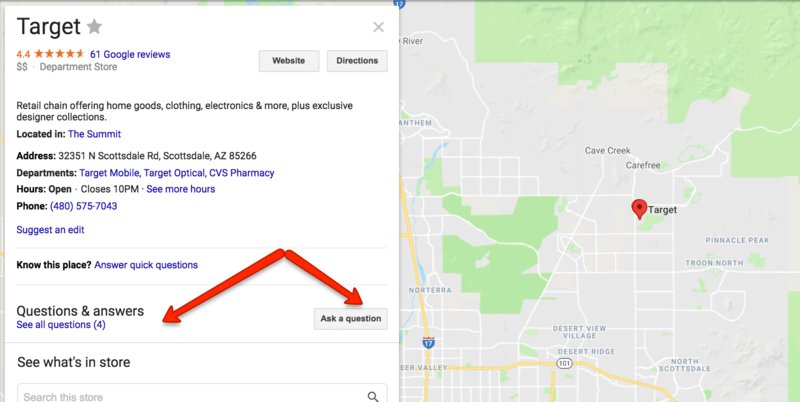 In local search results, there is now a section where people can ask questions and get answers. As a small business, it is important that you stay on top of these questions. Create your own questions and provide the answers. Competitors online might be different than the competitors within your local area. For SEO purposes, we are the most concerned with the websites that are showing up in the top 5 to 10 positions of Google search results for your targeted keywords. Those are the competitors you want to analyze. What those sites are ranking for. The quality of their backlink profile. Also, we know page speed is a factor in Google’s ranking algorithm. So run their landing pages through page speed tools. Look for areas of weakness. For example, are their pages running slow? Are there keywords they have missed that you can target? In addition to Google My Business, you need to control the accuracy of your local business data. Data aggregators (e.g., Neustar Localeze, Factual) share information about local businesses, including the name, address, and phone number (NAP). Make sure your business’s NAP information is consistent and accurate. Local business listings and citations (i.e., online mentions of a business) can help improve your local presence. The best approach to local directories and citations is to sign up for a service that will distribute your business NAP information. Most small business owners never think about links. However, getting links to your site can help improve your rankings. That can mean more sales and more customers. What can we do to spread the word about our business, educate others, and get involved in the community? This can lead to rich snippets in SERPs. JSON-LD markup is preferred for SEO. You can see rich snippets in action within the SERP below. Even my kids are conditioned to look up reviews before making a purchase. 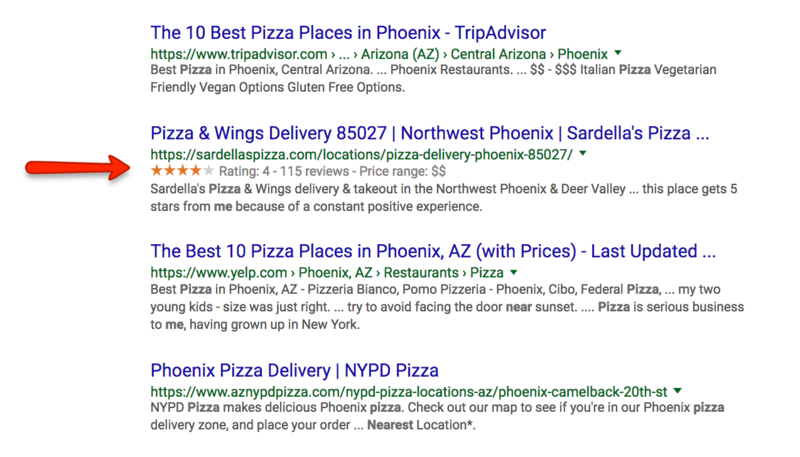 Reviews were one of the leading local search ranking factors in 2017, according to Local SEO Guide. Plus, you can improve your conversions by putting effort into getting reviews and feedback from your customers. Platforms can help you organize and manage a review campaign. Or, you can simply encourage customers to leave reviews on the major online review sites. Websites need content, which means words, so that search engines understand what they are about. Content goes beyond words, though, and should include images and videos. 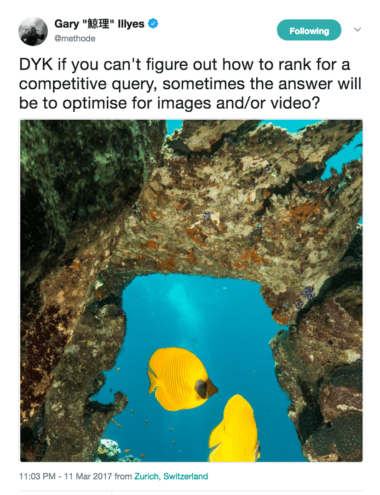 In fact, if you are struggling to show up for competitive keywords, why not try a properly optimized video or an image? If you’re just starting out with SEO, it can take a while to see results. SEO is a great long-term play, but sometimes you need to start generating leads right away. That is where paid search can really help. While you are building up your SEO work, set aside a budget for paid, so that you can keep the leads coming in. Even after you have a steady flow of organic traffic to the website, you might still consider running a paid search campaign in conjunction. This list is a consolidated version of what you can tackle to improve your rankings. Even if the list seems daunting, the important thing is to just do something. Set goals you know you can accomplish and start working your way down the list. If you get stuck, there are enough online resources to help point you in the right direction.